What prompts a story in your imagination? 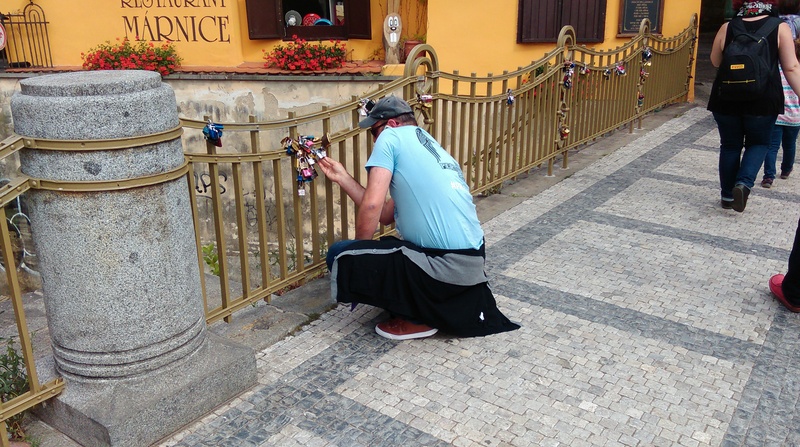 The vogue for fixing padlocks to a bridge as a token of your affection has reached Prague: here are some on a bridge on Kampa Island, a romantic spot favoured by lovers. On a visit earlier this year we saw this gentleman, in long conference with someone by mobile phone, trying to identify a particular padlock. What on earth is the story here? 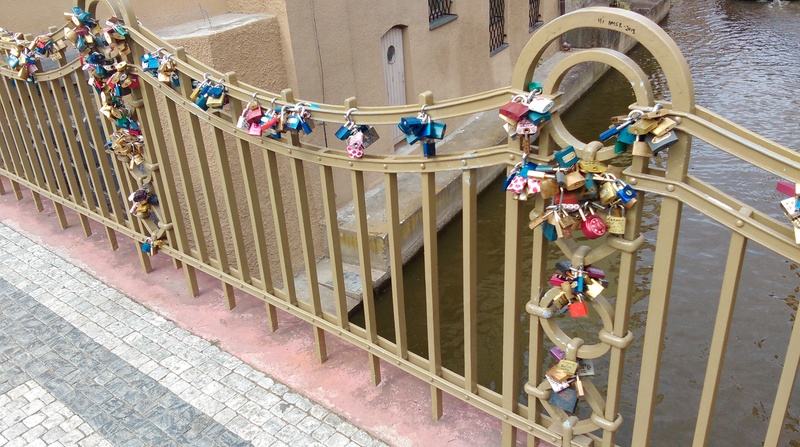 A broken romance, so painful that not even the padlock must remain on the bridge? A padlock made of gold? A vital message scratched on one? And why delegate the finding of this lock to someone else?